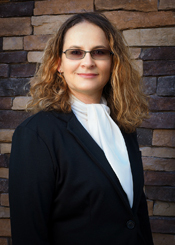 Cyndi joined Gerety & Associates, CPAs in January 2007. She has been working in the accounting field for over thirty years starting at a car dealership and working for several accounting firms over the last eighteen years. 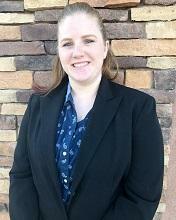 She received her Bachelor of Science Degree in Accounting from the University of Nevada Las Vegas. Although she was born in Canada, she's an Air Force fledgling, and a long-time resident of Las Vegas. Jon is a Southern California transplant who moved to Las Vegas in 2011 to attend UNLV. He received his Bachelor’s Degree in Accounting in December of 2014, and plans to sit for the CPA exam in the near future. The emphasis on work/life balance is what drew him to Gerety & Associates, CPAs. In his free time, he enjoys spending time with his family and friends, and is an avid snowboarding enthusiast. He also trains Brazillian Jiu-Jitsu at a local school, plays the piano and guitar, and is an Eagle Scout with the Boy Scouts of America. Patty Ilangilang joined Gerety & Associates CPAs in October 2016. She is an accountant with over 15 years of experience, specifically, in account reconciliations, month-end close processes and financial statement preparation. Patty loves being a part of the team at Gerety & Associates, CPAs and working with such a diverse and talented group of people. She immediately noticed how client service-oriented the staff are and how they truly care about their clients. Patty is a native of the Philippines and graduated from De La Salle University with a Bachelor of Science Degree in Accounting and Applied Economics. She moved to Las Vegas in 1989, where she enjoys hiking at Red Rock and exploring Las Vegas and its history. She’s an avid reader and loves to learn new things. Ricky Mirti joined the Gerety & Associates, CPAs team in October 2016 after spending 10 years managing a local law firm's IT network. Born and raised in Las Vegas, Ricky attended UNLV and will receive his Bachelor's degree in accounting in December 2016. He is excited to learn and grow and looks forward to a long tenure with the firm. His professional goals are to continue to excel in his accounting career, with the hopes of soon applying for his CPA license. In his free time, he enjoys spending time with friends and family, playing golf, as well as staying active, physically and mentally. Ricky aspires to include travel and renovating homes to his list of hobbies. Laura joined Gerety & Associates, CPAs shortly after receiving her Master’s Degree in Accounting from UNLV in December 2016. Before being trained as an accountant, she owned and sold a digital imaging company with operations in over 20 countries. She is also a California Registered Geologist with experience in environmental and engineering geology. Her hobbies include scuba diving, hiking, gardening, travelling, martial arts, and playing with her three dogs. Laura plans to obtain her CPA license in 2019 and is looking forward to an interesting and rewarding career with Gerety & Associates, CPAs. Gabriel Martinez joined Gerety & Associates, CPAs in October of 2017. Originally from San Diego, Gabriel moved to Las Vegas in September of 2016 with his wife and daughter. He received his Bachelor’s Degree in Economics with a minor in Accounting from UCSD in December of 2015. Gabriel has passed all four sections of the CPA exam, and is planning on becoming licensed in 2019. 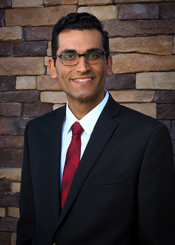 Prior to joining Gerety & Associates, CPAs Gabriel worked as the Operations Manager for a check guarantee company in San Diego for over 10 years. Finding a balance between family and work was a major reason for joining the Gerety & Associates team. He is excited about beginning his new career with a firm that places such a high emphasis on customer satisfaction, while also providing a strong support network for its staff. 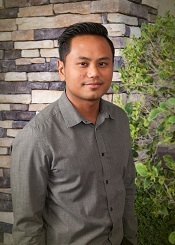 Gabriel enjoys spending time with his family, exploring new areas of Las Vegas with his dog, and is an avid MMA fan. Autumn Gatesman joined Gerety & Associates, CPAs in January 2019 and is looking forward to a long and rewarding tenure. A native to Las Vegas, she obtained her Bachelor’s Degree in Accounting from UNLV in May 2016. Prior to joining the Firm she worked for a local law firm’s tax department which specialized in small business tax returns. Autumn plans to sit for the CPA exams in the near future. Her hobbies include playing softball, hiking, and training her dogs. 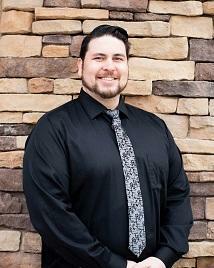 Michael Sanchez is a Las Vegas native who graduated GCU in October of 2018 with a Bachelor’s Degree in Accounting and will sit for the CPA exams in 2019. Prior to joining Gerety & Associates, CPAs Michael worked for US Bank where his love for helping clients accumulate and protect wealth encouraged his desire to practice accounting. 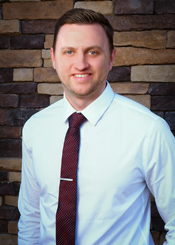 Michael was married in 2018 and enjoys spending his free time snowboarding and target shooting with his friends and family. He has two boxers that he and his wife love taking to the mountains or dog park and are excited at the prospect of their growing family. Janice Hill joined the work-family of Gerety & Associates, CPAs in May 2015 and is enjoying every minute! 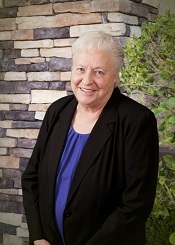 A seasoned Bookkeeper of 40 plus years, Janice is a Certified QuickBooks ProAdvisor and brings an abundance of experience and energy to the team. She is dedicated to the clients she serves and applies her skills and knowledge to deliver high quality work. When asked what she likes about working at Gerety & Associates, CPAs, Janice states, "I love the puzzle that I put together as I work. I enjoy helping the team complete a project. I'm comfortable here at Gerety & Associates, CPAs and I love coming to work". Originally from the Midwest, Janice is a long-time Las Vegas resident. She is musically talented and plays the piano. She enjoys sewing, reading and spending time with her grandchildren and dogs. "I'm looking forward to a long tenure with the Firm, it's better than I had imagined" shares Janice. Wendy Rutkowski became part of the Gerety Team in December of 2015. She brings 20+ years of experience in the bookkeeping profession and strives to bring practical solutions to the services provided to the clientele. Wendy is a Certified QuickBooks ProAdvisor. She has significant bookkeeping experience in all aspects of business and bookkeeping functions and has been using QuickBooks since 2004 for a wide range of industries. She attended Joliet Junior College in Illinois and Arapahoe Community College in Colorado with an emphasis on accounting. 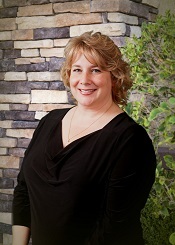 Originally from Illinois with stops in Las Vegas and Nebraska, Wendy relocated after 12 years from Colorado in 2013 where she worked as a bookkeeper for an accounting firm in Centennial and also serviced clients independently for a number of years. Her wonderful husband and three beautiful daughters are the love of her life along with the family’s two large dogs. She is delighted to be part of our firm and appreciates the work/life balance and professional growth the firm encourages. Cheri Johnson joined the Gerety & Associates, CPAs team in December 2018. 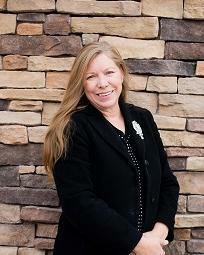 She has been working in the bookkeeping field for 30+ years and is a Certified QuickBooks Online ProAdvisor. Over the last 5 years, Cheri has been helping companies with bookkeeping nightmares get back on track. She loves the investigative work involved in these assignments; fitting the puzzle pieces together that results in a clean, complete financial picture. She is elated to be a part of the Gerety team - where once you walk through the door, you know you are with family. Cheri was raised in Las Vegas but moved to the San Francisco Bay Area after high school, where she lived for 24 years. She has 3 wonderful children, and 3 grand-dogs, that are the loves of her life. Cheri also enjoys spending time with her mother, niece and 2 grand-nephews and is a book-worm and history buff. 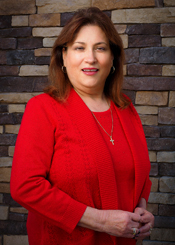 Delia Garcia started with Gerety & Associates, CPAs in January of 2016. She does bookkeeping for some of the Firm's clients, and the Firm as well. Delia came to Las Vegas from Los Angeles in 2001 and started working at a construction company as a Human Resources Clerk then worked up to Human Resources Generalist until 2007 when the economy and construction started slowing down. It was then that she changed her focus and pursued Bookkeeping in 2008. Delia is a Certified QuickBooks ProAdvisor. She enjoys that Gerety & Associates, CPAs supports professional growth. "I liked that one of the Core Values of Gerety & Associates, CPAs is to support and encourage professional growth as the lifeblood of the organization's success. It's inspired me to consider returning to school to pursue a degree in accounting to better myself and to keep learning. I also like that the Firm is very different from what I have worked in the past. I am most definitely interested in learning new things and progressing," Delia says. Delia loves spending time with her family, especially her grandson. The work/life balance and respect shown, professionally and personally, to each and every employee makes that something she can look forward to.